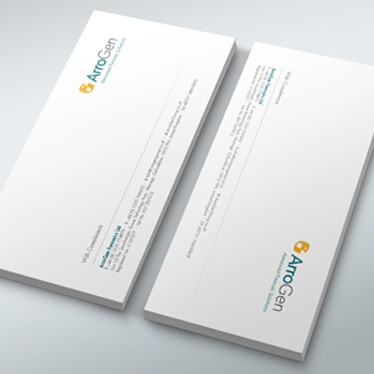 Sometimes you don’t need to use a whole sheet of your personalized letterheads, not when a compliment slip will do. Perfect for adding a personal touch to samples, corporate gifts or just saying thank you. 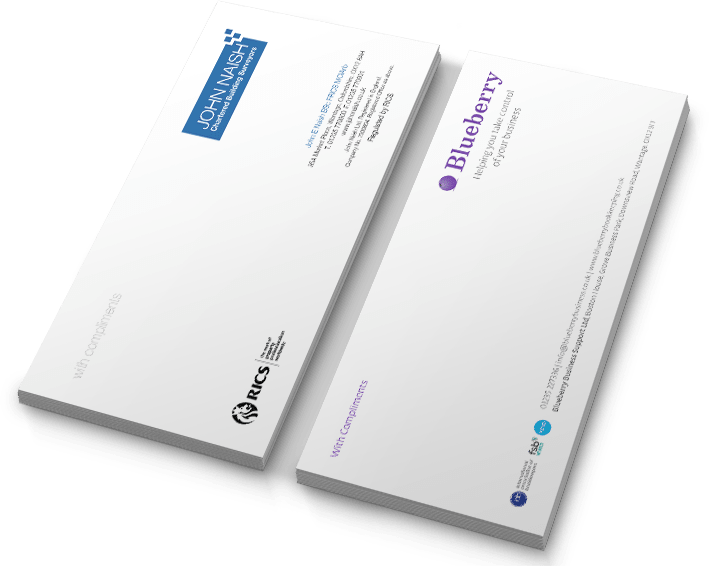 These essential office items are printed on a 120gsm premium smooth white sheet in full colour ink, single sided, to perfectly match our letterhead printing. Our prices below include both design and print. Contact us to discuss your brief, agree schedules and then get started. Once your design has been signed off by you, the artwork goes to print. After which the finished item is delivered to you at your delivery address. Need more printed? No problem, just ask us for a price. Call us on 01235 250 500 or send a message, see below. Take advantage of great value marketing tools. 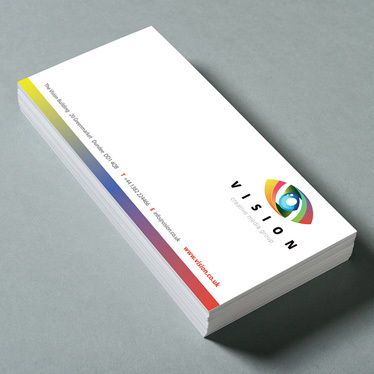 250 99x210mm single sided compliment slips, printed in four colour on 120gsm premium smooth white paper. Price includes bespoke graphic design, no templates! 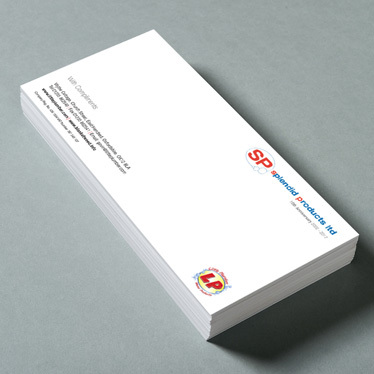 500 99x210mm single sided compliment slips, printed in four colour on 120gsm premium smooth white paper. Prices listed here assume you are supplying your text in an electronic format. Images and logos need to be of a high resolution (300dpi) cmyk print quality. We have access to image libraries which may incur additional charges if you need stock images.  If you are struggling with your wording, don't panic, we can put you in touch with an excellent copy writer to help you. Price stated also includes shipping to one UK mainland address. The reason I like working with Seven Design Associates is that I know what to expect, the process is seamless, and the results are always exactly as desired. Seven Design Associates are highly creative, produce excellent work at very reasonable prices and always suggest new ideas to help your business to stand out. I like to work with people who work efficiently and within an agreed timetable and Mark kept me up to date of project progress at all times. 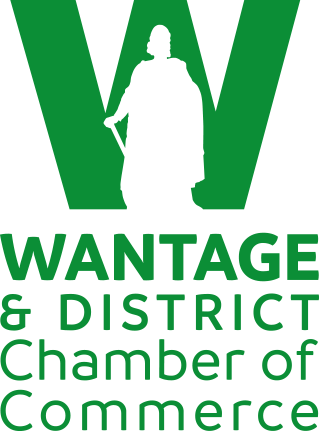 Good work on the Wantage prospectus! Absolutely fabulous... well done you, I LOVE IT!!!!!! Thank you for your help in completing my firm’s new brochure. During the last couple of weeks we have received some great feedback. Well done! Thanks for all your work on the Direct Publicity folder. We are really pleased with the result! You’ve created something that makes me feel I am connected to my brand fully – that takes great skill. You might think that what you’ve done it just your job – but for me – it’s so much more than that. You have cared and put together a totally professional site but with dynamic presence, edge and sassiness.